The Asian Energy Studies Centre (AESC), together with the Department of Geography and Centre for Geo-Computational Studies at Hong Kong Baptist University, School of Energy and Environment at City University of Hong Kong, the Center for Deliberative Democracy at Stanford University, and the Department of Geography at the University of Hong Kong organised the two, half-day Deliberative Workshop on Solar Photovoltaic (PV) Development in Hong Kong: Prospects and Policy Challenges on 4-5 November, 2016. 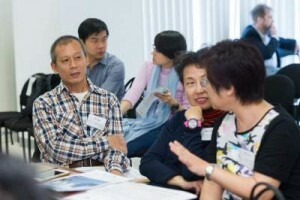 This workshop invited about 60 participants. 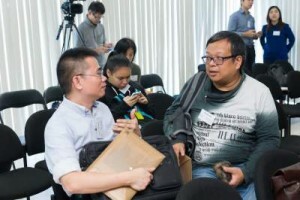 They consisted of potential solar PV adopters such as village house owners, sampled Hong Kong citizens, and commercial and institutional representatives from utility companies, energy service companies, developers, hotels, airline companies, and consultancies. 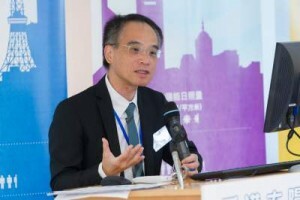 Professor Raymond So Wai-Man, Chairman of the Energy Advisory Committee of the HKSAR Government and event moderator of this deliberative workshop conducted the introductory remarks, officially kicking off the workshop on Friday, 4 November, 2016. Prof. Raymond So Wai-Man, Chairman of Energy Advisory Committee of the HKSAR Government and Event Moderator, welcomed participants to the deliberative workshop on Friday, 4 November, 2016. This unique workshop adopted Deliberative Polling, an innovative deliberative participation method trademarked by Stanford University’s Center for Deliberative Democracy. Deliberative Polling aims to empower engaged and informed participants to take a proactive role in clarifying and debating key issues on matters of public importance. Its key elements include small group sessions, Q &A session with a balanced panel of experts, and a plenary session, as well as questionnaires for participants prior to and after deliberation. 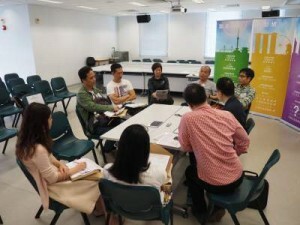 Prior to the workshop, participants were interviewed and provided a briefing document. At the small groups and expert Q&A sessions of the workshop, participants shared their views, and debated and clarified key issues and policies critical to solar PV deployment. 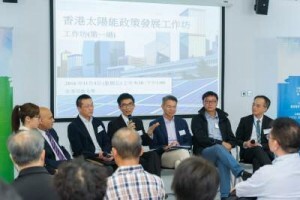 Key issues discussed included Hong Kong’s solar potential, technical challenges such as grid connection and stability, tariff impact and costs, and policies and regulations. (Top left): Group A participants representing potential solar PV adopters discussed among each other during a small group session; (top right): two participants during coffee break; (bottom left): expert panellists and participants at the plenary and interactive session; (bottom right): C. W. Cheung, Senior Head of Climate and Footprint Programmes from World Wild Fund for Nature Hong Kong with Prashant Vaze, one of the workshop expert panellists and Chief Planning and Trade Practices Officer from Consumer Council. Deliberative Workshop on Friday, 4 November, 2016 (left). (Top): Group A representing potential solar PV adopters in a small group session; (top left): expert Q&A session; (top center): a Group C participant representing commercial and institutional stakeholders shared his group’s solar PV policy roadmap vision for Hong Kong in the plenary session (top right). Deliberative Workshop on Saturday, 5 November, 2016 (bottom). (Bottomright): Group B representing Hong Kong citizens in a small group session; (bottom center): Group C representing Commercial and Institutional stakeholders in a small group session; (bottom right): a Group A participant representing potential solar PV adopters shared her group’s solar PV policy roadmap vision for Hong Kong in the Plenary Session. 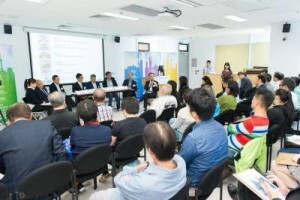 Participants also discussed five possible policies for solar PV development in Hong Kong: feed-in tariff, net metering, solar leasing, renewable energy certificates, and renewable energy bonds. The expert Q & A session provided opportunities for participants to raise important questions to expert panellists based on their respective small group discussions. 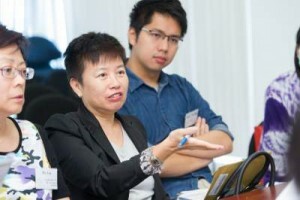 Featured expert panellists represented diverse opinions and expertise in energy and sustainability in Hong Kong. Expert panellists included Prof. Michael Leung from City University of Hong Kong, Mr. Prashant Vaze and Dr. Victor Hung from Consumer Council, Mr. Stephen Chan from CLP Power Hong Kong Ltd, Mr. T. C. Yee from Hong Kong Electric, Mr. William Leung from W3 Corporate Ltd, and Ir. 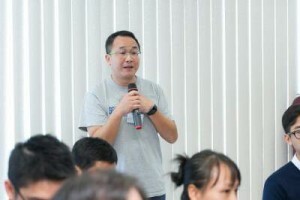 Albert Lai from Carbon Care Asia. Near the end of the workshop, participants from respective small groups shared and interacted with expert panellists on their group’s visions of Hong Kong’s solar PV policy roadmap in the coming years. Participants completed workshop questionnaires which are to be used to assess any attitude change after deliberation. 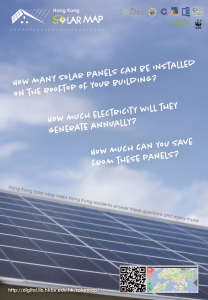 The discussions, expressed views and questionnaire findings will be made available and disseminated to officials at the Environment Bureau in the HKSAR Government and other relevant stakeholders for the planning of Hong Kong’s solar PV policies in the future. 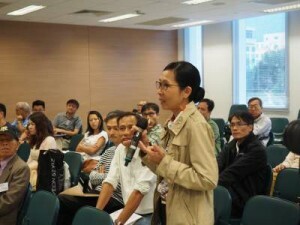 Project developments and knowledge dissemination after workshop, as well as find the briefing document, questionnaire findings, videos and photos can be found on the event page once they are available: http://aesc.hkbu.edu.hk/events/solar-workshop-hk (For English, please click here: http://aesc.hkbu.edu.hk/events/solar-workshop-hk-en). This event would not have been made possible without the generous funding from Greenpeace East Asia and World Wide Fund for Nature Hong Kong. 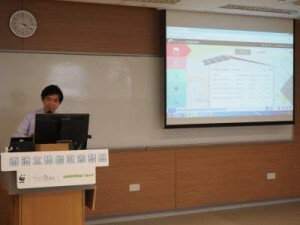 AESC would also like to acknowledge Hong Kong Baptist University Library for providing invaluable assistance and funding through the Digital Scholarship Grant in making the Hong Kong Solar Map a reality, Hong Kong Baptist University’s Research Committee for funding support on human resources, and Civic Exchange as a supporting organisation. 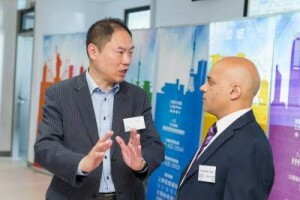 AESC aims to promote informed energy decision-making, and improve energy policies in the Asian region including Hong Kong, by creating new knowledge, providing practical policy recommendations, promoting knowledge exchange and facilitating stakeholder engagement. AESC is committed to bringing together relevant stakeholders to discuss policy developments and challenges of new and renewable energy options for a more sustainable energy future in Hong Kong. 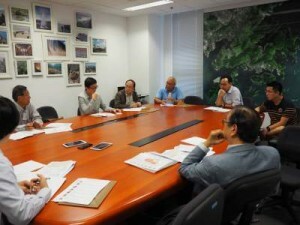 To learn more about AESC and its most recent works, please visit: http://aesc.hkbu.edu.hk/.